Update: Benji is off of all medication. He is doing great at the trainer/boarding facility. He is on natural supplements for his joints, but heck at his age, he should be and he is doing great. Please see updated photos. 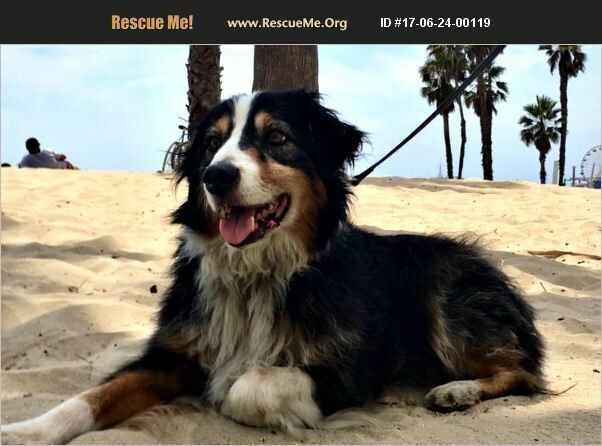 Love this boy Meet Benji, He is an Australian Shepherd, tricolored with a long beautiful coat and two toned eyes. He is happy, playful, energetic and loving. He has been in training for the last few years and here is what she had to say. Benji is 9 years old. He has come a long way. He does have some social issues but over the last few years, the trainer has been working on him and he can be around a pack of dogs. He would work best with a firm handle that knows how to handle dogs. He is very smart and loving and eager to please his owner. He has lived with another female for the last 7 years, though they are having issues now, it does show his compatibility with other dogs. The trainer believes the issue between Benji and his sister is due to her decline in health and signs of dementia and disorientation. There is now a stress between them because he does not understand what is going on and why she acts strangely at times. HE is crate trained and house broken. He is up to date on all of his shots and is neutered. The trainer has used an E collar on him which he responds to very well. The E-Collar is used infrequently now because he listens and responds to commands and cues. Usually, the collar is used to help redirect his energy. Health Issues: He has skin allergies, which he takes a pill every day. (4 mg of methylprednisolone). This costs about approximately $1 day. Training; Benji is very smart and learns new commands quickly. Though he is 9 years old, he has a lot of energy and does best when he has a task at hand to help refocus his energy. This boy has a lot of life and love to give. He will be a perfect dog for someone who is patient, active and knows how to handle a strong and energetic dog.